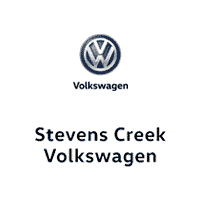 Stevens Creek Volkswagen is your source for all things Volkswagen in San Jose, CA. Shopping for your dream car is easy at Stevens Creek Volkswagen and from the moment you walk through our doors you’ll notice that we’re very different from other dealerships around. Our easy-going, straightforward business approach makes shopping for a car hassle-free and, most importantly, stress-free. We carry the full Volkswagen lineup, including the award-winning Jetta, Passat, CC, Beetle, Golf, Golf GTI, Tiguan, Touareg and much more. Whether you’re looking for a sleek coupe or a performance hatchback, Volkswagen has something for you.